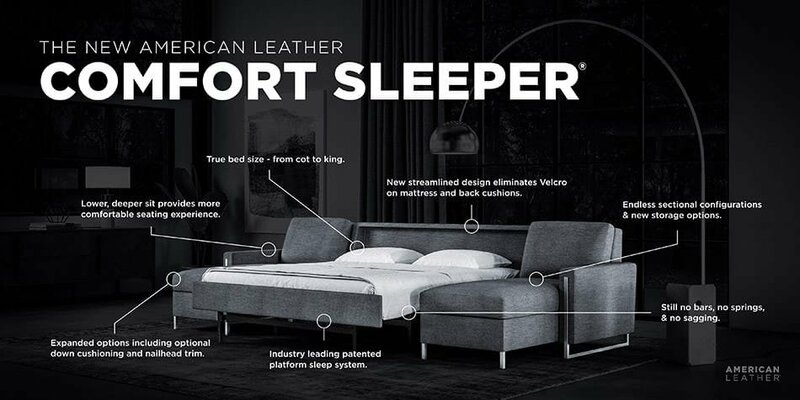 Comfort Sleeper® by American Leather® is quite simply the most comfortable AND most versatile sleeper sofa available. With 17 styles available, from transitional to modern, you’re sure to find the stylish centerpiece you want — with a better night’s sleep built right in. 17 styles, 7 sizes, 3 mattress options, and hundreds of fabrics and leathers.